You may know that pomegranate fruit can fight disease, but did you know that pomegranate and mental health are also related according to recent studies? It's pretty exciting to see what this juice can do for not only your physical health, but your mental or emotional health as well! Pomegranate juice is gaining popularity in the marketplace as a super food. As a result of this continued interest in this unique and interesting fruit, researchers have been looking into the fruit and the juice to see how beneficial it can be for us to consume regularly. They're continuing to conduct studies to determine whether the juice can be included on a daily basis for maximum benefits or if daily might be too often. It's fascinating to see what they have found out so far! A study conducted on mice in St. Louis at the Washington School of Medicine indicates that it might be possible for pregnant mothers to reduce the risk of injuries to her infants' brain simply by drinking pomegranate juice. Researchers gave some pregnant mice a combination of pomegranate juice mixed with water and other pregnant mice a mixture of sugar water for a time. When the newborn mice were tested, the results showed that the mice born to mothers who had been given the pomegranate juice suffered 60% less brain tissue loss than the newborn mice who received sugar water during their mother's pregnancy. Why is this such an important finding? 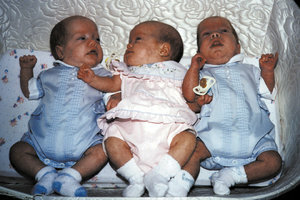 Expectant moms sometimes experience what's called hypoxia ischemia. In laymen's terms, it's a condition that equates to the brain of the infant receiving less oxygen and blood flow than what is normal and healthy. The result can be serious injury to the infant's brain and can cause a myriad of debilitating health issues once the baby is born. So, if drinking pomegranate juice could potentially reduce the risk of your infant sustaining brain injury, wouldn't you want to drink it every day? It's a pretty strong motivation for the pomegranate and mental health connection. Pomegranate fruit is jam-packed with healthy antioxidants. Did you know that people with increased or high antioxidant levels in their body have the benefit of increased protection for their brain and their memory? 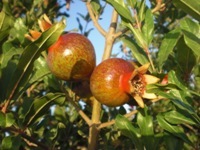 Polyphenols, a form of antioxidant, is found in pomegranates in very high amounts. They are also found in berries, grapes, and red wine. Polyphenols are linked to slowing down the aging process and are also linked to protection of the brain. You could protect your memories and possibly have a reduced risk of Alzheimer's disease if you drank the juice every day. This is just another great reason to drink this juice and eat the fruit! 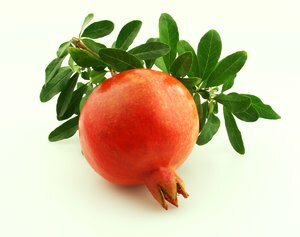 Read enough about pomegranate and mental health and want to discover more health benefits of pomegranate juice?